Love it!!! It's so cute!!! It's a fav for sure! Keep it up. ^_^ Suturn isn't my favorite (Mercury is) but she's still cute. 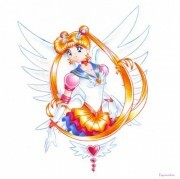 That's a picture from the Sailor Moon Stars manga, isn't it? anyway,.. da drawin cud b betta if it was more clear,.. Cute! Why don't you try inking and then scanning your sketches - that way they'll show up a lot better. Keep it up! 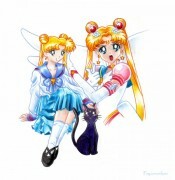 ^_^ teehee this brings back old memories :D i luved saturn hehe well she was second fav next to jupiter. that's a lovely sketch, the hands seems a little weird but it's a old sketch. so nothing to complain about here. trhis ias great. I know you are buch better than me so there are no comments. 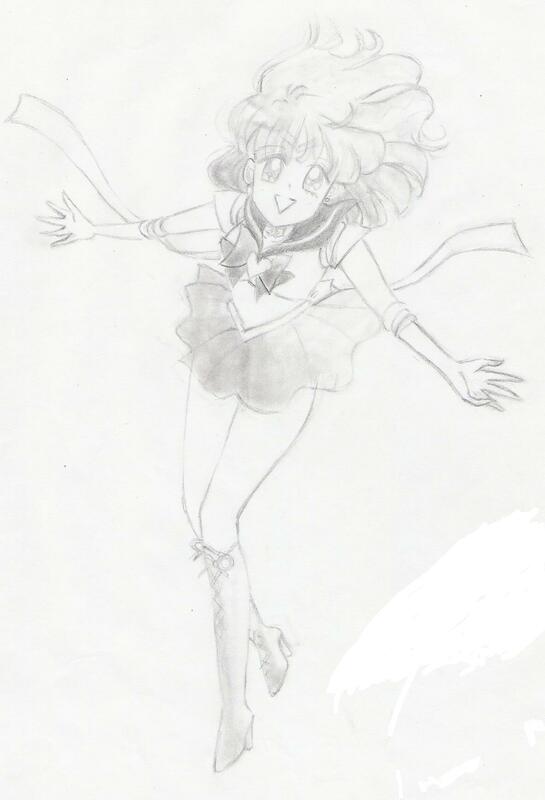 Sailor Saturn! She's my favourite along with Mars. Very well done, that's a very hard perspective to draw but you did it nicely ^^ The eyes kinda scare me though, so big and shiny, lol but that's probably me being paranoid. My only suggestion is what sylvacoer said ~ ink it! This one's really good. I think pose is very well done and I love the expression you put on her face. (Happy) I like the way you drew her hair. It looks quite well done. this one catched my eye, the trace look quite confident and smooth...theres a lot of potential in you! !